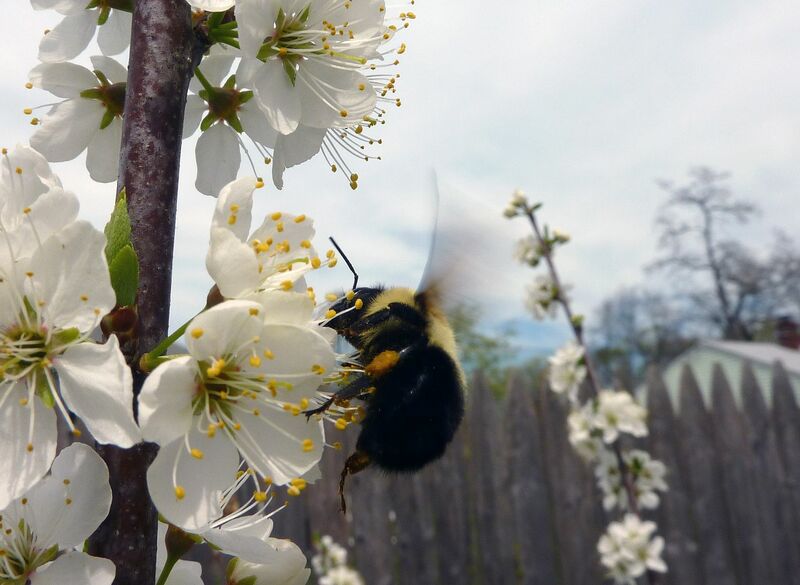 A bumblebee queen found the plum tree. She was having a pollinate-a-thon running rings around each column of flowers. Normally I'd try catching them but we're so late in the season already. The fact that she's carrying pollen means she's already committed to a nest site. How do you identify the queen? 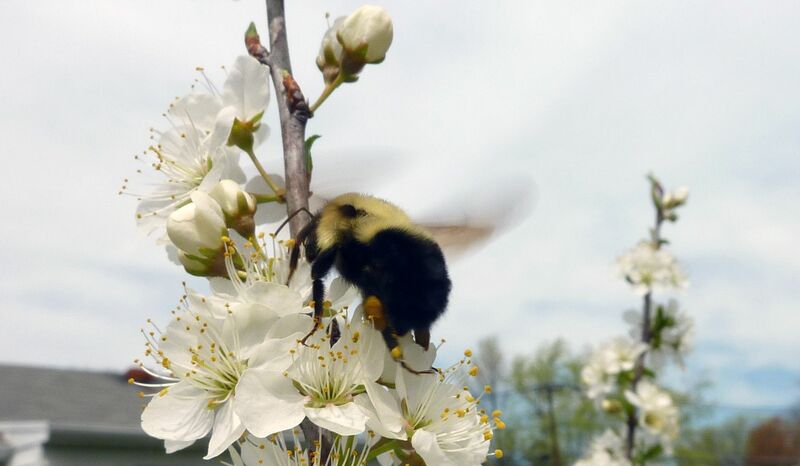 My bumblebees have been very active too, and I've seen them chasing each other which I assumed must be mating chases. Chasing eachother sounds more commonly seen with Large Carpenter Bees, Xylocopa sp. The males hover in front of the nesting holes where females emerge. Also I think most Bumblebee queens mate before winter. 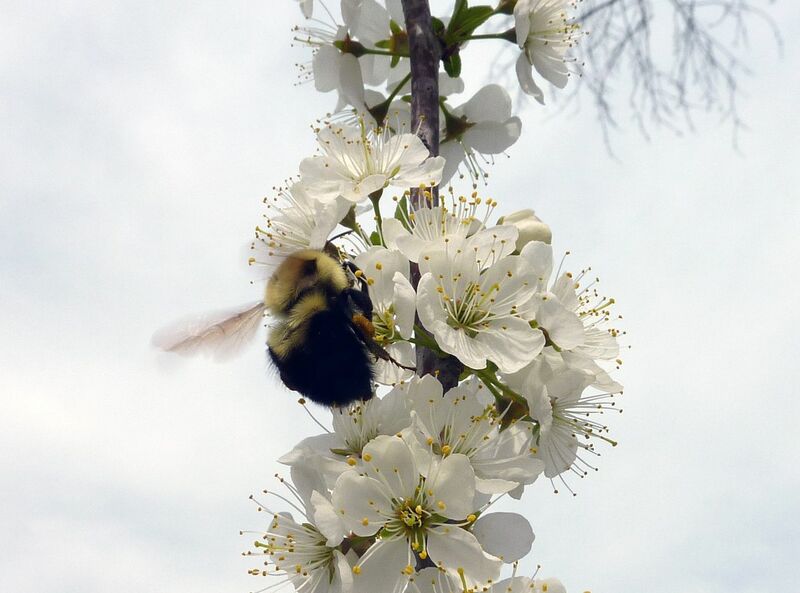 For identifications of bumblebees I turn to my friend who's so much better at bees than I am. He has a few queens started now in nest boxes and even identified the queen above as Bombus bimaculatus. You have to pay attention to the colors and where they fall on the body. In the middle image you can see the abdomen has a solid stripe of yellow, with a slight notch of yellow pointing down below it. It's those fine details that separate these species.